Want to impress your friends with an amazing move? Master the deep squat on one leg. Follow our plan with all the details for each workout. Improve your flexibility, balance and strength needed for the pistol squat in about ten weeks. The first goal in this five step progression is to build up the mobility needed for the full squat. This will be the key to your success with the more advanced skill you want to achieve at the end of this program. If you still tend to fall backward in the bottom position of the full air squat or lose your balance otherwise, you should consider spending a few more weeks building up a proper full squat first. Allan Thrall posted a video on this. Once you established a comfortable and stable stance at the bottom of the full squat, we will go through a four-step progression recommended by the Tapp Brothers. We are splitting the first phase in two and start with a supported air squat. During two weeks you will build up to a few sets of 8 and then 10 repetitions for each stage. Don’t rush through the phases. It’s always better to repeat the same once again until you feel ready to complete each repetition of each set smoothly and with perfect form. In the first phases, you should repeat the same workout three times in a week or on every other day. Starting from the chair pistol you can reduce to two workouts per week. This should give your legs and especially the knees enough rest to recover for the next workout. Do only start your next workout when you feel fully ready and well to perform such intensive exercises. Stop working out immediately in case you should feel any kind of pain. You can skip a phase if it is obviously way too easy for you. Start building up the required mobility to perform the full squat. Build up to 3 sets of 8. Rest 1 to 5 minutes between each set or as much as needed to feel completely ready for the next set. Increase the repetitions per set to ten. Build up to 3 sets of 10. Hold the position at the bottom for 10 – 30 seconds on every repetition. Establish a stable comfort zone at the very bottom of your full squat. Perform a negative pistol sitting down on a chair behind you and get back up the same way. Build up to 3 sets of 8 (each leg). Starting from this phase you will reduce the number of workouts per week to two to give your legs and especially the knees enough recovery. Increase the number of repetitions to ten. Build up to 3 Sets of 10 (each leg). Support yourself with a rope, towel or something similar wrapped around a rail or door handle. Execute a pistol squat trying to depend on the support as little as possible. Perform a pistol standing on a small block, rail or wall. Lower yourself down, if possible without touching the floor. Increase the repetitions to ten. Perform a pistol squat off the floor. You got it – Congratulation! Impress your friends with a pistol squat the next time you see them! We would love to hear your experience with this programs too. As always Fit Drills presents you this information for educational purposes only. We cannot take any responsibility for any of your training activities and recommend you to always discuss them with a professional fitness trainer. 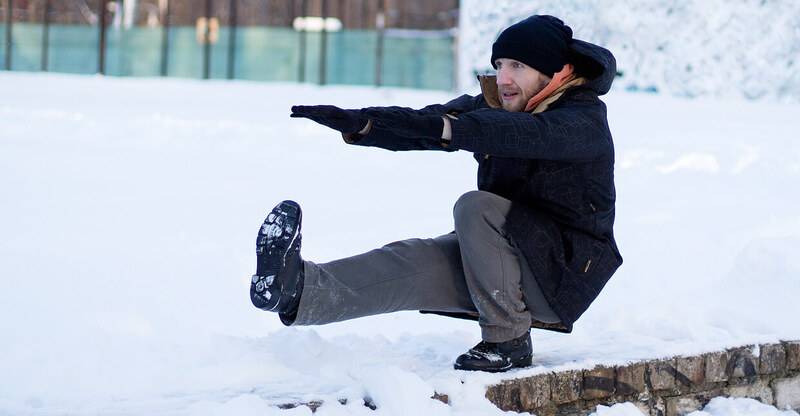 You don’t need an iPhone to learn with Fit Drills how to impress your friends with a nice pistol squat!